Award Winning Salon Love. - Organic Colour Systems Ltd.
Bridgette Young is our first New Zealand Salon Love feature and we are so excited! 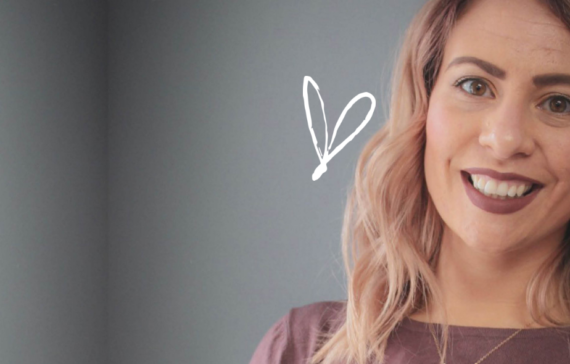 Bridgette recently won Australasian Salon of the Year, has recently renovated her hugely successful Organic Colour Systems only salon, Off The Fringe, and is also becoming one of our first Australasian Salon Mentors. 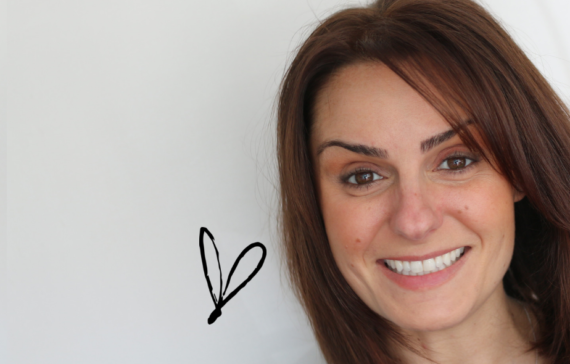 We caught up with her to pick her brains about all things business and how she got into the career she so passionately loves. First things first, what is your story behind becoming a salon owner and coming across Organic Colour Systems? Hairdressing is all I have ever known. Owning a salon has always been a dream for me. I am fortunate that the opportunity has become real. Everyday, even after 6 years, I open the door of the salon and have to pinch myself that this is really real. I have been doing hair for over 24 years so I have used quite a variety of products. The decision to switch was a no brainer. I was seeing more and more clients reacting or becoming sensitive to colour, as well as having stylists I have worked with having reactions themselves. Being aware of this around me I knew there had to be another way. Why would you give up what you love because you can’t use the products. Being a partner salon right from day one has set the studio apart from other local salons. We are finding more and more clients searching up on the Internet for organic colour. It is a privilege to work with Organic Colour Systems and I know, having used it for the better part of 10 years, exactly how it works and the benefits of using it are insurmountable. What do you love most about working with Organic Colour Systems? Firstly, of course the products. Secondly, working with the Company. I have had the privilege of meeting Raoul (the MD) and many of the other wonderful team at HQ. Where, in this cut throat hairdressing world, would a CEO of an international company spend 2 hours with a small salon owner from across the world? The ethics and standards are admirable and they are forever striving to improve products and what they offer their salons. I love this so much it makes us feel valued as part of the family. Congratulations on your win of Australasian Salon of the Year Award for the second time in a row! Tell us more about this award and what it entails? Thanks! It is such an honour to win this again. The Salon of the Year award is an award given out by Organic Colour Systems Australasia. It is an overall award for excellence in using Organic Colour Systems. From how you market the products in salon and on social media to your colour/care percentages. It is not about who has sold the most it is about who is using the system to its fullest potential. It also covers the sustainability factor and how eco-friendly the salon is. We also had to have one full entry into the Colour Art Competition. So it’s overall everything really. How well do we, as a salon represent Organic Colour Systems as a brand. I love this as it gives the small businesses an opportunity to shine. You also won or came runner up in every category in the Colour Competition. Amazing! What do you love most about doing competitions and do you feel its beneficial for you and your team from a creative perspective? My team and I did extremely well in this competition. They had the wonderful opportunity to create exactly what THEY wanted. I love the creative freedom you get with competitions and seeing an idea transform into reality. I find helping the team find an idea and helping them develop it into a story is hugely beneficial. It gives the stylists confidence and vision. It also translates back into the salon environment where they can confidently take a client and create something new and exciting. So, yes, definitely enter competitions. Enter them for the right reasons though. Do it to grow yourself. Do it to learn new techniques. Do it to show the world what you, as a stylist, are capable of. We love all of your teams final submissions, what were your inspirations? Do you have any top tips when doing a photo-shoot? I absolutely loved my images too! My top tip for photo-shoots, PLAN, PLAN, PLAN! Set a plan in place from day one. Plan everything, from the hair colour and wardrobe down to the colour of the nail polish your model wears. Have a timeline for the weeks leading up to the shoot day as well as a time line for the shoot day. If you have multiple models you want to make sure you have enough time for the photographer to do their job for every model and look. Make sure the team you choose are reliable and excellent at their job- MUA and photographer and model. For the Colour Competition, we had to take one model and create two different looks, one Editorial and one Avante Garde. For my look I had this idea revolving around transformation. I love movies with Vampires and the whole idea of eternal love and power! So using this I created my first look, Innocence, and then taking that gorgeous innocent girl and transforming her into a strong seductive look, Innocence Lost. It was so much fun coming up with the look and the colour formulations. You have recently refurbished your salon, it looks gorgeous! What do you do in salon to try and be as eco-friendly as possible? We have only done a small amount of changes in the salon, but we are planning on doing a lot more next year. Closing off the kitchen space and creating a neat lounge area for clients. We are just working on ideas for the station looks at the moment. On the eco-friendly side, we are part of Sustainable salons NZ. Which helps us recycle 95% of our waste from the salon. We have also recently got rid of all our plastic caps, we use the eco towels now to cover our colours. No more hood dryers either, only the Thermal booster hats in our salon. We use only organic and fair trade teas and coffees. We have found a local supplier of salon treats. Hand-made gluten free cookies for all our guests. Only using Eco Store brand cleaning products. We have Eco Heads on our salon basins which reduces our water consumption by 35%. We do not throw away our magazines, we either recycle them in the paper waste, or we re-home them to schools and women’s groups. Having such a successful salon business, do you have any top business tips for your fellow stylists? Ask for help if you are struggling. Talk to people you trust and listen to them. I am extremely fortunate to have a wonderful support system in place. People I can trust and people I can rely on. I also read a lot of “business” books and listen to podcasts. I love Antony Whittaker and his ideas on how to run a business. I have also been working with a business coach for the past year. This is not for everyone, but he has taught me so much. Know your numbers! Know your bottom line! My biggest lesson so far has been to make sure your team, if you have one, are all on the same page as you. You need to make sure the vision for the business is clear to them. Reward them and show them they are valued! I am so fortunate to have the team I have today. We are a small salon but we pack a mean punch! We love working together and I love seeing them succeed. If they are doing well, I know my salon is doing well. You have recently become one of the first Australasian Salon Mentors (congratulations again!). Why do you think Education is so important in our industry and what are you looking forward to most about being a Salon Mentor? Education is vital in growing as a stylist and as a business. We have to invest in ourselves. The industry has changed so much in the past 10-15 years with social media being the main form of inspiration for our clients and ourselves. We have to educate our clients that what they see on social media is all manipulated and filtered! The clients don’t understand the effects that this has on our job and our confidence when we can’t re-create these images to look exactly like the picture! This is why we have a very strong consultation process in the salon for every client and make sure they understand what we are going to do and what we can and cannot achieve. The only way to grow and develop is to keep yourself educated and informed. I am 24 years in this industry and still feel like I’m still a newbie some-days! I am really looking forward to being part of the Australasian Mentor team. It has made me really move out of my comfort zone. I am so looking forward to sharing this amazing product with salons and everything I have learnt over the past 10 years working with it. Seeing salons make the choice to a healthier salon environment and cleaner choice of colour. Mostly I’m looking forward to working with like minded salon owners and stylists. If your friends and family could describe you in 3 words what would they be?